Image | Executive Presence | Personal Branding | Leadership. I'm back! It has been a few weeks since I've posted an episode. The past few weeks have been busy and amazing. 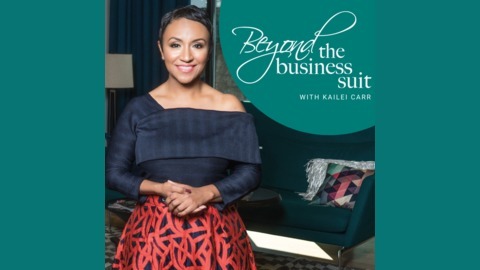 Between the Beyond the Business Suit Retreat that I've been talking about for the whole season (which was absolutely incredible) and other speaking engagements and workshops with companies like NBC Universal and Yum! Brands, and my own “pausing and recharging,” it has been quite a past 6 weeks! 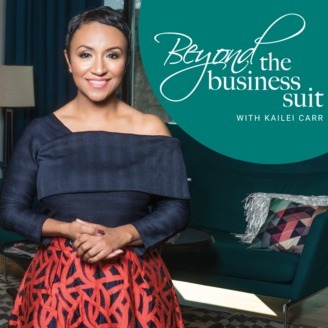 But I am so glad to be back to share this episode of Beyond the Business Suit with you. In this episode I had the absolute pleasure of interviewing Agatha Achindu, founder of Yummy Spoonfuls, nutrition expert and advocate for healthy eating for babies and children. We had such an amazing conversation. Agatha Achindu, IT Executive turn Integrative Nutrition Coach and Yoga Teacher, is the founder of Yummy Spoonfuls Organics For Kids. A farm girl at heart, she was raised on her parents’ organic farm in Cameroon, West Africa. Her passion for sharing this deep knowledge of healthy food inspired her to leave a corporate IT career to change the way Americans feed their children. Change agent and innovator, Agatha shook the grocery industry with a new approach to convenience food. Now she engages audiences worldwide as a panelist, keynote speaker, media personality, and writer. She regularly contributes to the Washington Post, and lectures graduate-level business classes at leading universities. Agatha encourages people to create a better world by living their dreams, and realizing their full potential. 1. Some of the things she does to take care of herself: she pays attention to what she eats. She's also pays attention to her thoughts and what she breathes life into. 2. Some of things she does to recharge: She loves going to the gym, playing cards with her boys at home and cooking. If she's home, she cooks everyday. 3. Some of the things she does to keep her mind and skills sharp: She is always learning. She just finished an integrated nutrition program. She believes you can never stop learning. 4. One of her superpowers is: Motherhood. She doesn't think those of us who are mothers give ourself enough credit. 5. What she puts on to feel most powerful: God. She gets up early to pray and mediate. When she is able to do that, the confidence that comes along with her makes her feel like everything is under control.